Hosts Sri Lanka have a lot of work to do, if they are to get to the point where they can once again challenge cricket's elite across all three formats of the game. 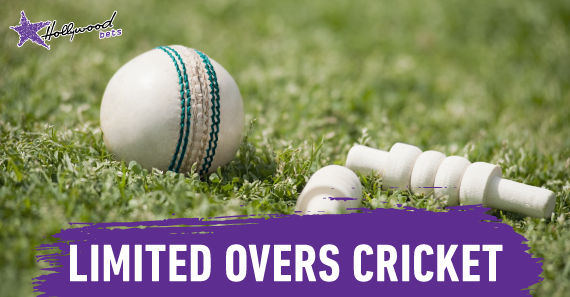 There is no better yardstick than playing against the number one-ranked England, who have pioneered the 'modern' approach to limited-overs cricket. There is conflict in the Sri Lanka camp, with skipper Angelo Mathews axed from the ODI group, ostensibly for poor running between the wickets. Mathews has never been sprightly between the sticks, which has led some to suggest that the reasoning offered by the selectors acts as a cover - and the captain is being made the scapegoat for a poor Asia Cup display. Sri Lanka exited the Asia Cup at the group stage after suffering defeats to Bangladesh and Afghanistan, and before that, suffered a home series defeat to South Africa. Against the Proteas, they dropped the first three games to concede the five-match series as early as possible, but two consolation wins took some sting out of the defeat. The bright spots for Sri Lanka in a dark period for cricket on the island have been the emergence of spinner Akila Dananjaya - and more consistent displays from match-winning all-rounder Thisara Perera. Batting and fielding remain the two biggest concerns for Sri Lanka, who have a strong core of spinners operating alongside wily seamers. Dambulla has not been a happy hunting ground for Sri Lanka of late. They have not recorded an ODI victory at the venue since their triumph over Pakistan in August 2014. Since then, they have suffered seven losses in eight outings, with one match rained out. The tourists arrive in Sri Lanka as firm favourites, but there is some concern that they may be a bit rusty after their first warm-up game was abandoned. Alex Hales and Ben Stokes have made the trip despite a looming disciplinary hearing over charges of bringing the game into disrepute for their highly-publicised Bristol shenanigans. England's confidence in their batsmen is supreme. They have picked just five specialist batsmen for the tour in Hales, Jason Roy, Jonny Bairstow, Joe Root and skipper Eoin Morgan. All-rounders Moeen Ali and Stokes, as well as wicketkeeper Jos Buttler, are all candidates to bat in the top six though. Among the bowlers, it is clear that places are up for grabs in the World Cup squad, leaving the Curran brothers and uncapped quick Olly Stone to duel for a place in the team alongside the likes of Chris Woakes, Mark Wood and Liam Plunkett. Taking six seamers (seven, if you count Stokes) to Sri Lanka indicates that England are eager to explore their pace options for next year's World Cup. All of England's spin options are handy with the bat. Hampshire all-rounder Liam Dawson is the third tweaker in the group behind Moeen and Adil Rashid. England have won two of the five ODIs they have played in Dambulla. The wins came in the last two matches that they played there, but that is unlikely to be a big factor considering the games were played in 2007. If Sri Lanka don't roll out a disgracefully raging turner of a pitch, it is difficult to see how the hosts can match England's phenomenal batting power.